I don’t believe in America anymore. I’ve been writing and drawing my comic “Hockey, Love, & GUTS!” for almost 8 years now, never in a full time fashion, but as a personal project that I just can’t stop until it’s done. 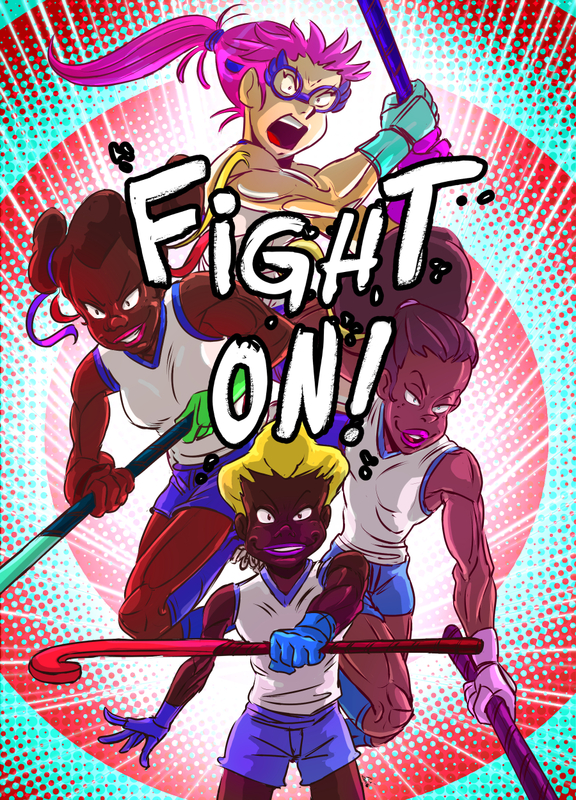 The initial purpose of the work was to highlight the untold stories of women in sport, specifically field hockey for its particular feminist history in this country, and how universal their stories are. Of course, I knew this was niche subject matter; for one I can count on one hand the number of women’s sports feature films, so I knew from the beginning that my audience was going to be small at best. It continues to be this way. But, I persevere… and sometimes I wonder why. After last week, I realized that the American culture I was portraying in my work was too idealistic, too progressive (even with the antagonists that I’ve presented so far) and that maybe the reason I didn’t “believe” in America anymore is because I may have never fully accepted the reality in which we live. Maybe it was my naiveté of considering myself as being “woke” and aware of the social issues that minorities face on a daily basis (after all, I’m a multiracial and bilingual Brazilian born American citizen, and I’ve been mistaken for being Middle Eastern in the past as well, so surely, I must have an inkling of what it feels to be like the other) and yet, I believed, in my atheist heart, that there was an America for me. But, no, I don’t think there is. However, after much soul searching this past week, I think the job of many progressive artists now is to redefine, and reconstruct what “America” should mean for all Americans. Maybe doing challenging works is not enough if they can’t breakthrough the echo chambers; maybe contacting representatives and being more politically active is one way to create change, but can it break through political lines? I became interested in working in animation and visual storytelling for its inherent quality to synthesize ideas that anyone can understand, and that at its core can break language and cultural barriers; so it is in that spirit that I’ll continue to do so, and fight for the issues I believe through my work and hopefully more literally in person as well. Let’s create a new America.